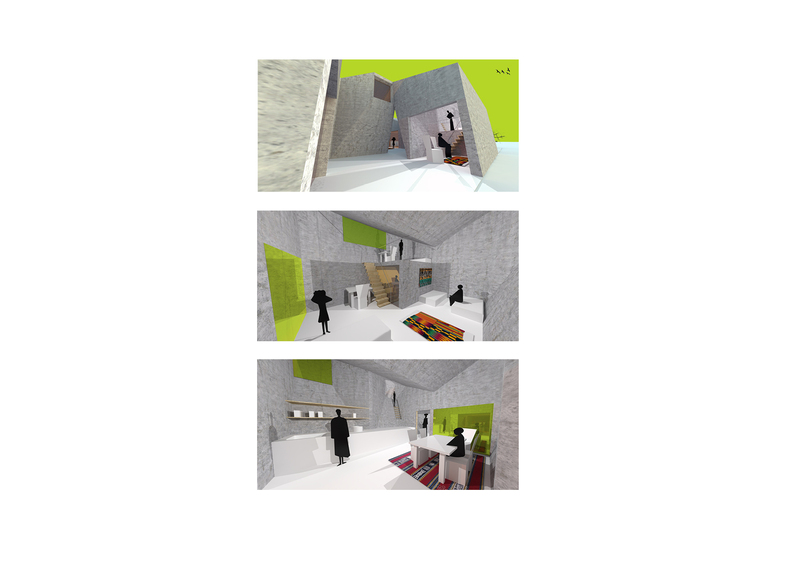 We approached the project from a functional perspective and practicability considering the existing conditions. 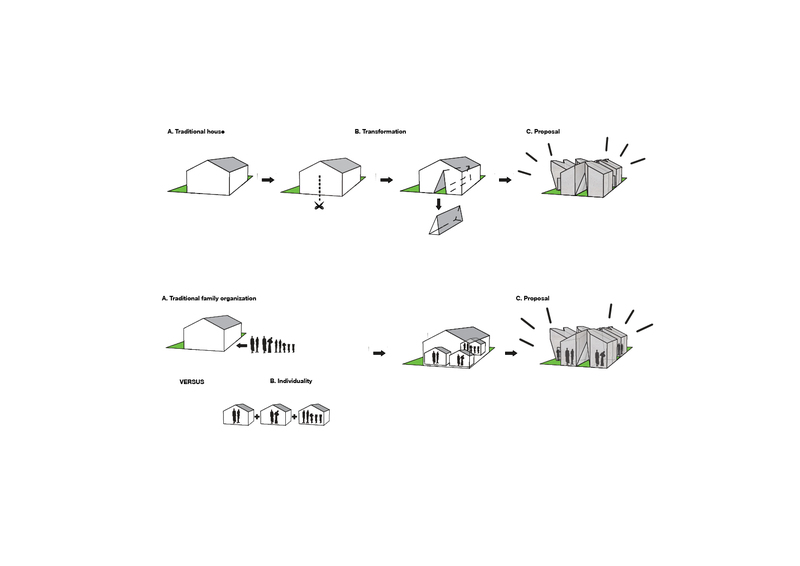 Housing is defined as an space where living and having both a place of individuality and coexistence, combining interior and exterior as a basic concept. 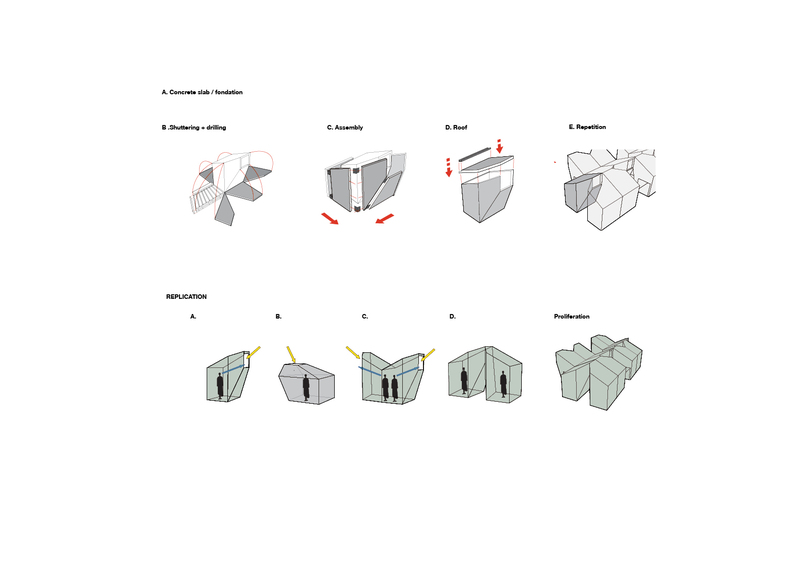 The proposal is a modular system that allows to create different configurations, a variety of formal and spatial possibilities for easy replication and construction, so that even users can participate in the construction process. 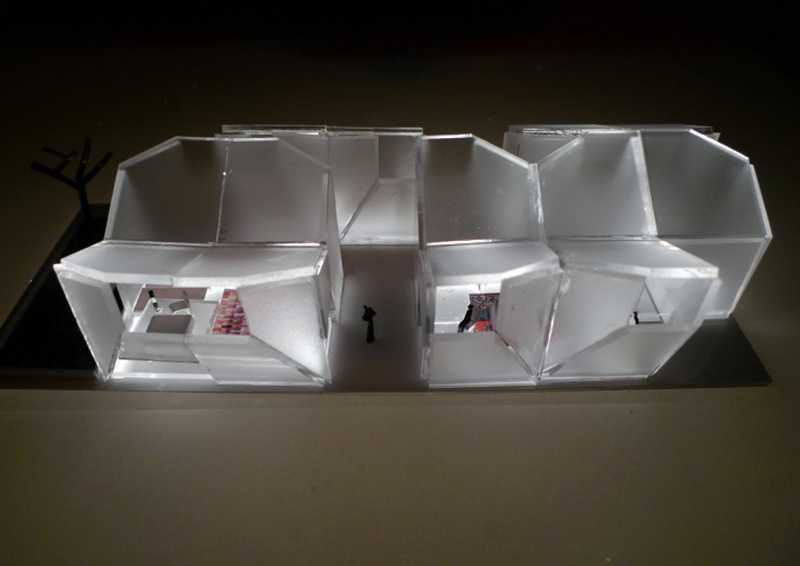 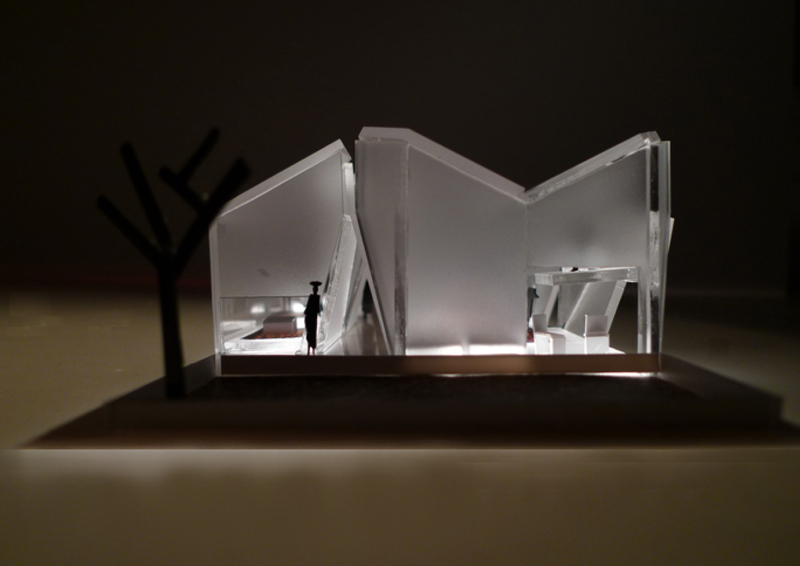 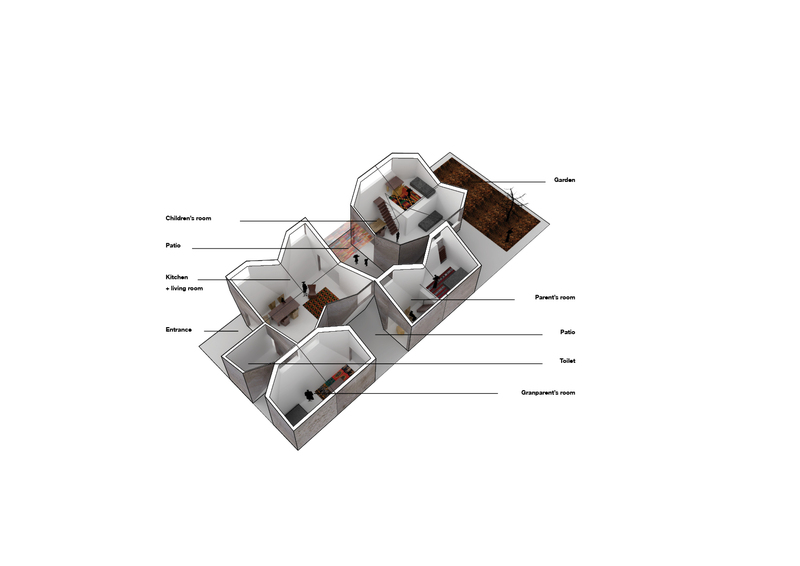 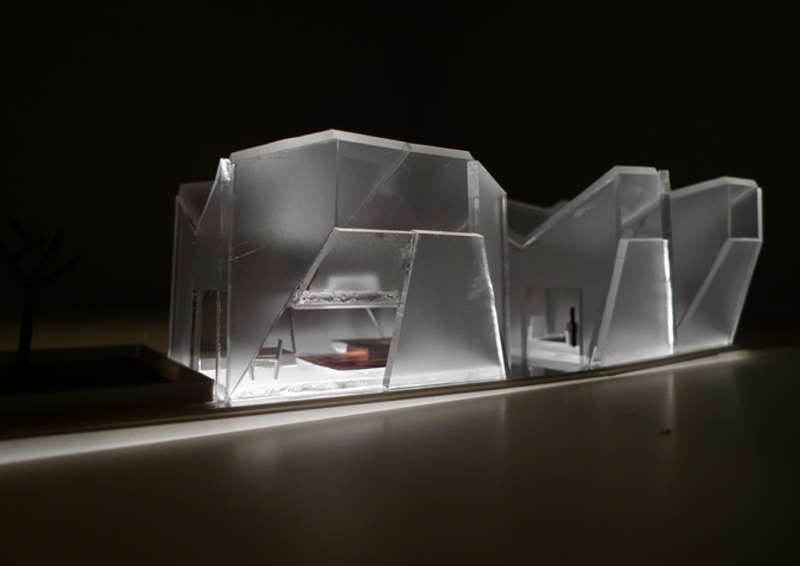 The arrangement of the modules generates gaps and visual connections linking all the rooms in the house and pulling them apart at the same time. 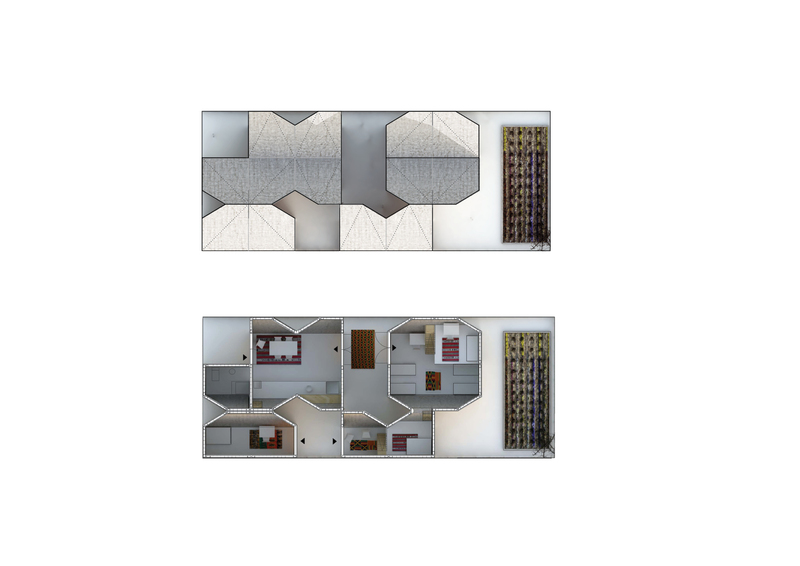 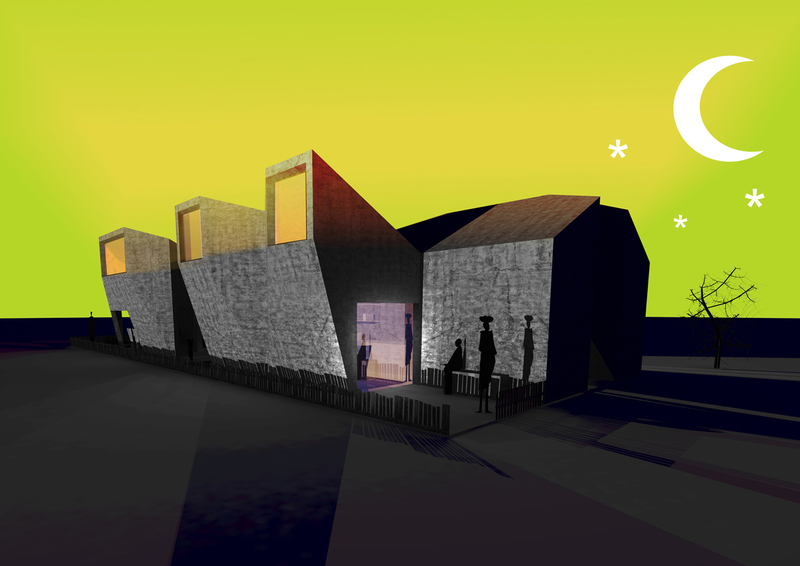 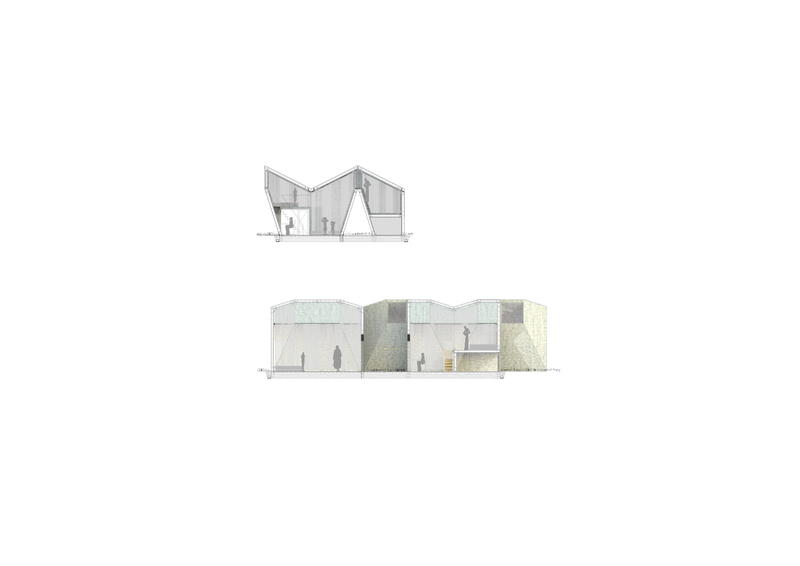 The configuration of the modules generates also an exterior corridor that runs through the house introducing the public space inside, blurring the line between public and private sectors and in and out. 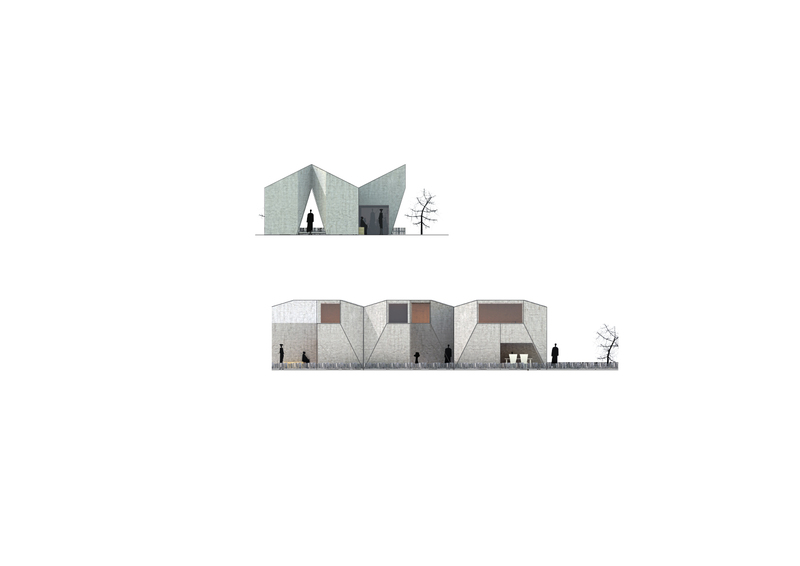 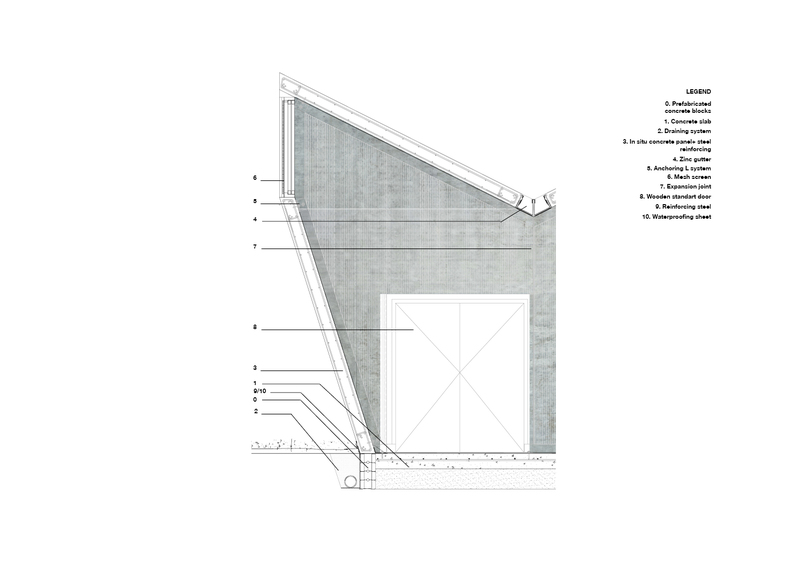 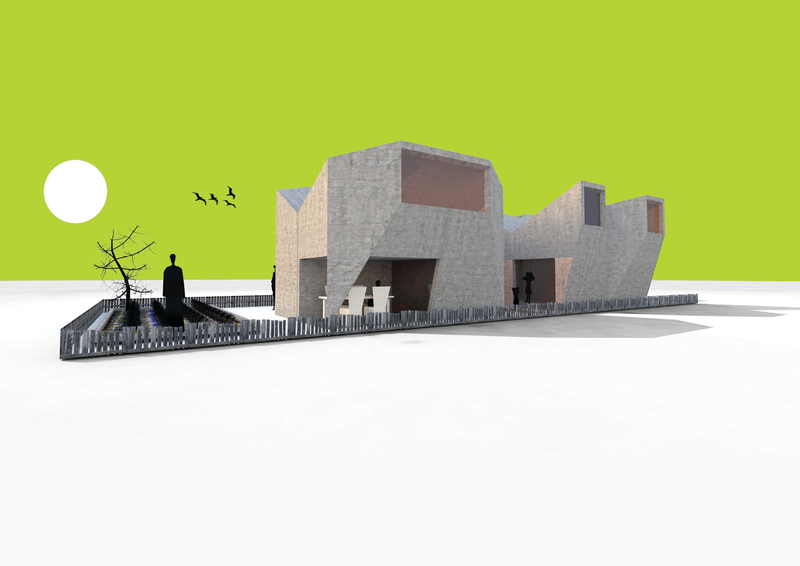 These modules are made out of in situ concrete panels and fabricated in several phases. 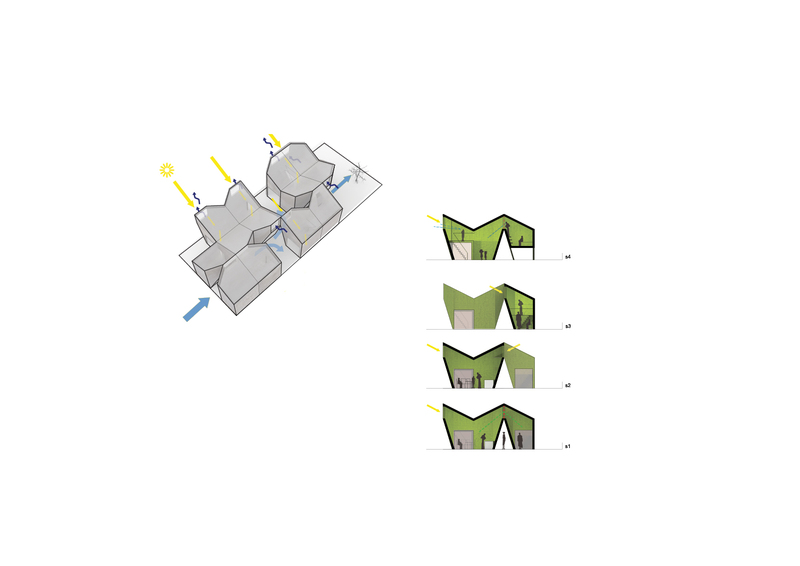 Each house has one set of shuttering (6 pieces to configure a module), allowing the construction development in several stages: a phase of prefabrication and a second one of assembly, thus progressively produced successive modules to achieve the desired house.